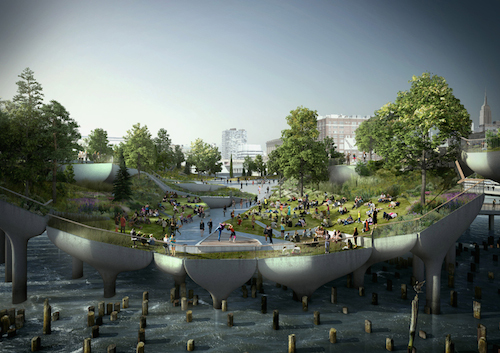 Heatherwick Studio has teamed up with landscape architect Mathews Nielsen to design a utopian vision of a pier that creates much-needed green space in New York City. 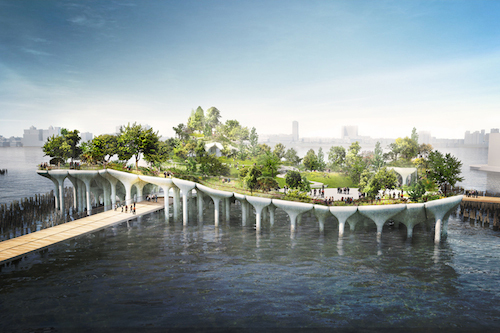 Located just off the West Side Highway. 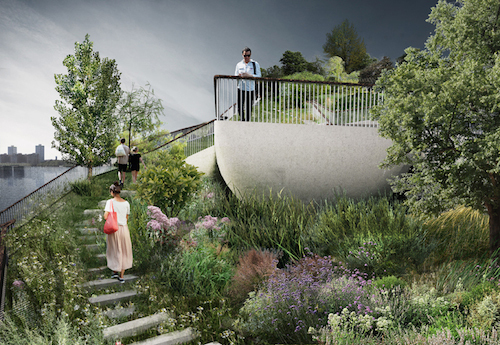 the new space will offer expansive views of the manhattan skyline. 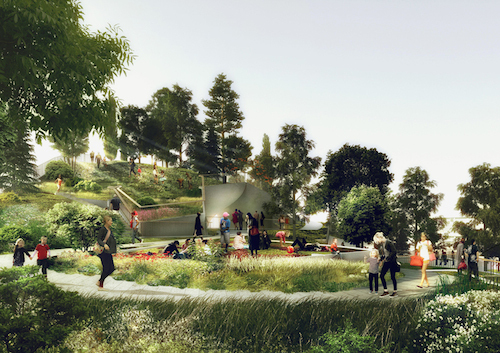 Unlike many such utopian proposals, this will actually be built. 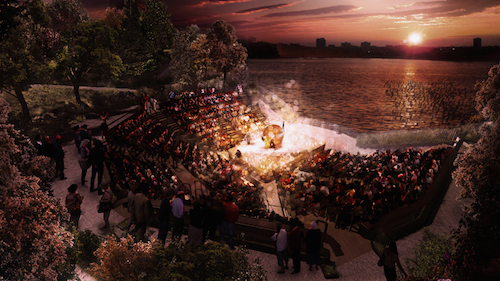 Thanks to a pair of wealthy New York benefactors, the funding is already in place. 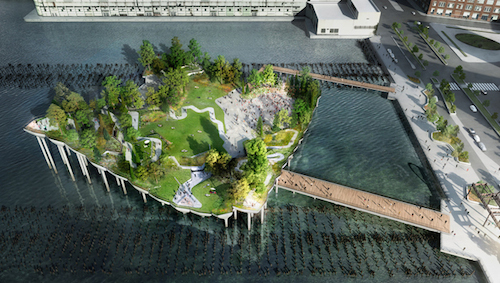 Construction is expected to start in 2016, and the park on piers is expected to be built for $130 million. 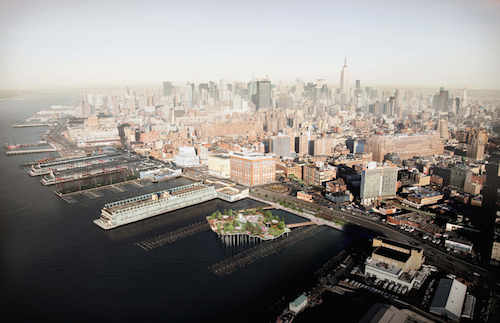 “The revitalization and transformation of this pier into a vibrant arts and community space will bring new energy and new visitors to our waterfront,” said Mayor De Blasio. This entry was posted on Tuesday, October 16th, 2018 by Susan Kraemer and is filed under Architecture. You can follow any responses to this entry through the RSS 2.0 feed. You can leave a comment.